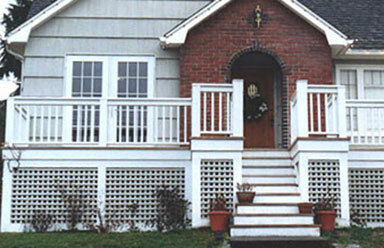 We build new porches and decks, repair old ones, and rebuild structures to suit new purposes. 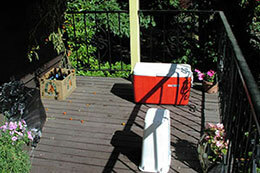 We screw down decking with stainless steel screws that will last a lifetime. 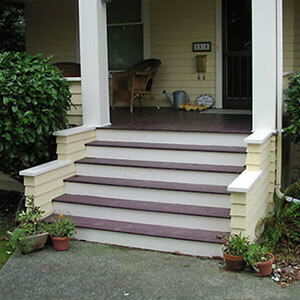 In addition to the projects on this page, we have completed more extensive projects that include a deck adjacent to an expanded kitchen and a front porch built as part of a new entryway. 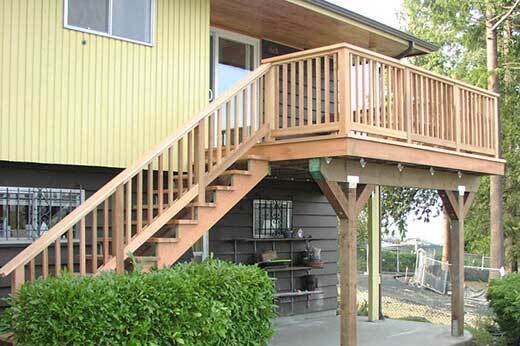 We removed the old unstable deck and built a new deck and stairs with clear cedar. 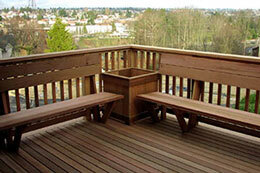 This home owner doubled the fun with a deck expansion. French doors open up to the new deck. 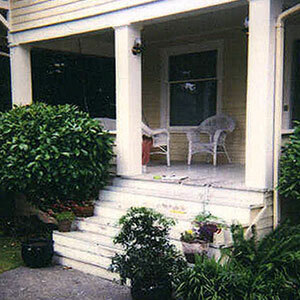 Relaxing and socializing becomes delightful on a porch with a fresh new look. Maximize the enjoyment of your home with features that make it yours. 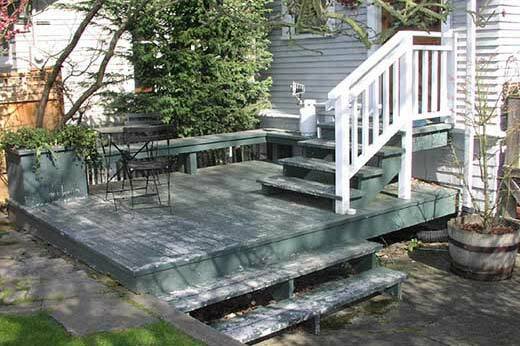 This deck is made from Trex decking and the screen from clear cedar with stainless steel screws for a lifetime of service. 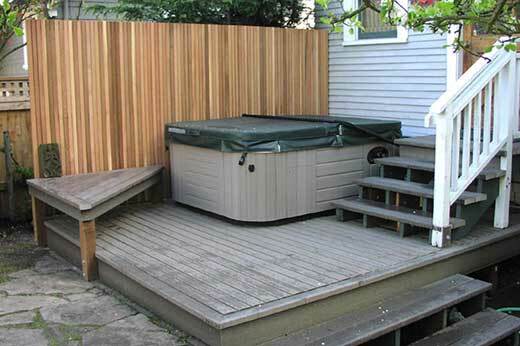 Time to hit the hot tub!